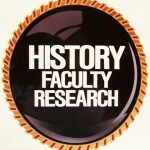 Do you have a favorite history or art history professor? Are you curious about his or her research? 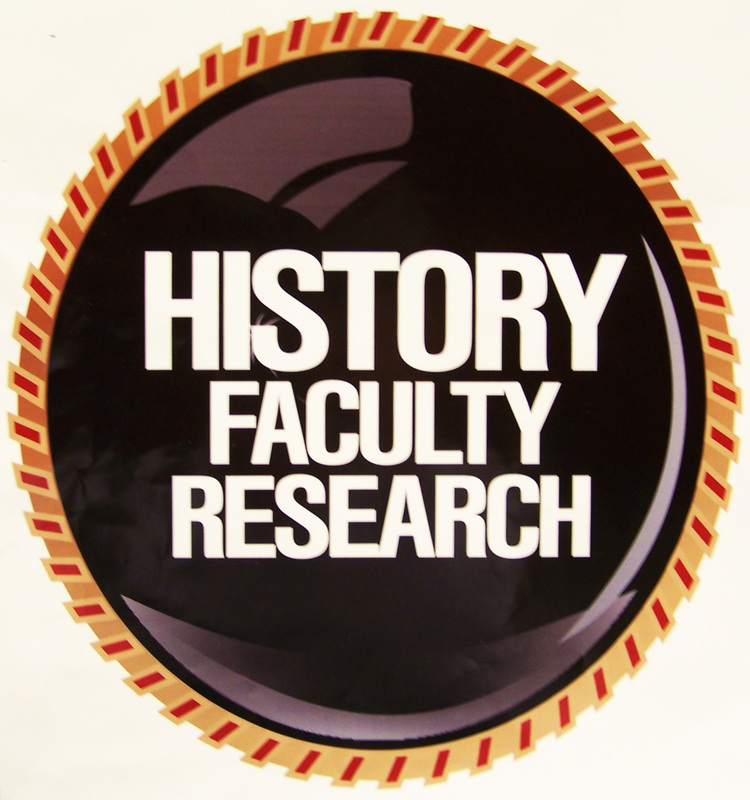 This exhibit, sponsored by the History Liaison Team and mounted by Joanne Quinn, a graphic artist on the Outreach team, focuses on the published research of the history department professors. Joanne also created the graphics such as the banner and large decorated letters which form signs in the exhibit. On display are colorful book covers from the Villanovana in Special Collections; they were scanned by Laura Bang, Digital and Special Collections curatorial assistant. Large posters for JSTOR and Project MUSE, databases in which one can find works by history department authors, are prominently displayed. Other, smaller posters provide information about ProQuest, library news, e-journals and print print journals. Three large digital frames present slide shows on the community bibliography and faculty full text, Arts and Humanities Citation Index, Historical Abstracts and the Falvey homepage. The slide shows were created by Jutta Seibert. Jutta said, “The Scholarship @ Villanova exhibit celebrates the scholarly output of the history department while simultaneously highlighting popular resources. We received many positive comments and plan to do more Scholarship @ Villanova exhibits in the future.